Clas Ohlson, the Swedish hardware retailer, has revealed that it is pushing on with plans for a UK transactional website, with an expected launch in the spring. 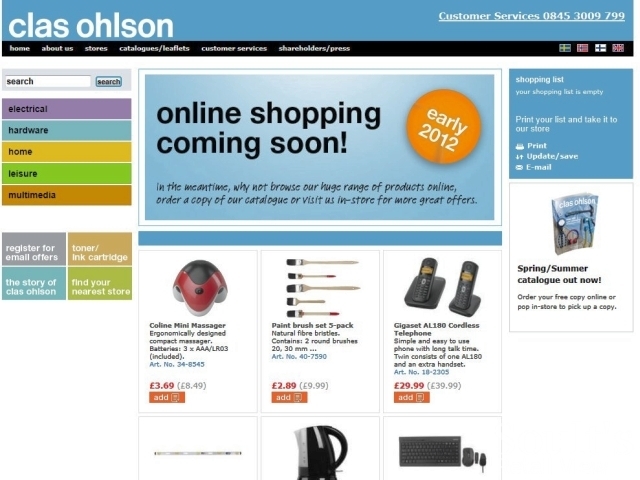 Back in August, just before the Newcastle store opened, I noted that Clas Ohlson’s website homepage (below) was promising ‘online shopping coming soon’ in ‘early 2012’. Now, via its new Facebook page, the retailer has confirmed that it is “currently working on our brand new all singing and dancing online store which is planned to go live in May this year.” Clas Ohlson already offers online shopping via its Swedish and Norwegian sites, but, to date, only a ‘save to shopping list’ function in its newer markets of Finland and the UK. 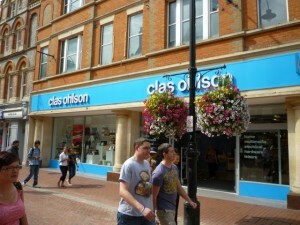 The news comes as Clas Ohlson, for the first time, today reported a decline in year-on-year sales at its UK stores. In local currency, UK sales last month were SEK 19m – down from SEK 20m in January 2011, despite being based on sales from 12 stores rather than 11. Therefore, though the headline fall is 5%, my sums suggest that the figures represent a like-for-like decline of about 13%. Coming after stellar December UK sales of SEK 43m – up on the year before, though still down on a like-for-like basis – Clas Ohlson’s latest figures seem to chime with the experience of many other retailers in suggesting a tough January after higher-than-expected consumer spending in the run-up to Christmas. It wasn’t all easy going in Clas Ohlson’s other markets, either. 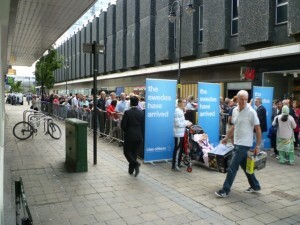 Though the January headline figures for Norway (+20%) and Finland (+28%) are, at first glance, particularly eyecatching, the addition of 16 new stores outside the UK means that like-for-like sales in those markets were, by my calculation, roughly the same as a year ago – still, however, a creditable performance. 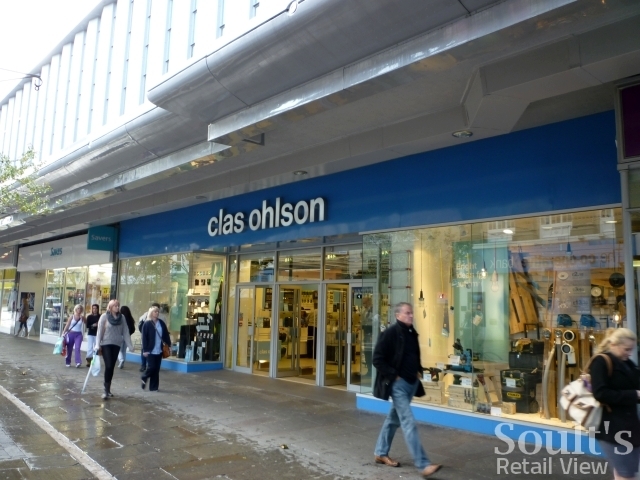 Nevertheless, it does seem that Clas Ohlson’s sales in the UK are currently lagging behind those elsewhere – a not entirely surprising situation given the retailer’s more established presence in those markets, and the particularly challenging conditions of the UK economy. In the third quarter of 2011, for example, when UK GDP grew by just 0.6% (before then falling 0.2% in the fourth quarter), the equivalent rates of growth in Finland, Norway and Sweden were 0.9%, 1.4% and 1.6% respectively. 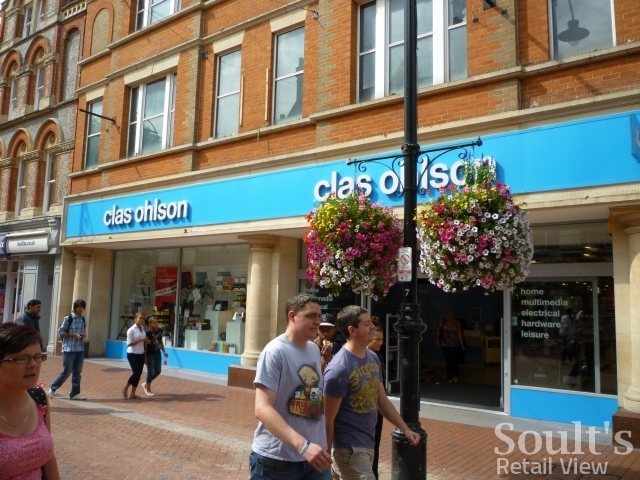 Given that successfully entering the UK market is a big job for any retailer – even in more amenable economic times, and even for big US names such as the now-departed Best Buy – it’s heartening to see Clas Ohlson seemingly sticking it out for the long haul. Physical store openings may have gone quiet since Newcastle opened in August, but there are positive signs of activity elsewhere. 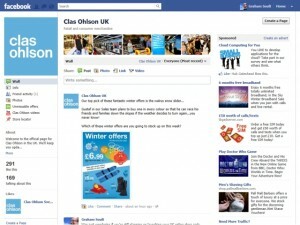 As well as its investment in the transactional website, Clas Ohlson has recently launched a Facebook page and Twitter account for its UK stores, both of which feature some great content. Updates are well-written, chatty and completely on-brand, combining offers and competitions with timely (and not overtly salesy) information about Clas Ohlson’s products – such as a bead bracelet kit for Valentine’s Day or ice scrapers when much of the country was waking up to snow. Crucially, the in-house PR people behind Clas Ohlson’s Facebook and Twitter are also getting things absolutely right in terms of communicating with their followers: engaging with and replying to users’ comments amid an evident recognition that good social media is all about conversing with customers rather than using it as a one-way news feed. While the take-up in terms of Likes and Followers has so far been steady rather than spectacular, starting to build a presence on both networks now – ahead of the online store launch – makes good sense. Once customers are able to order online, it’s likely that all the forms of messaging – via Twitter, Facebook, the website and the 12 physical stores – will support one another in raising the awareness, understanding and reach of a brand that is currently underdeveloped within these shores.